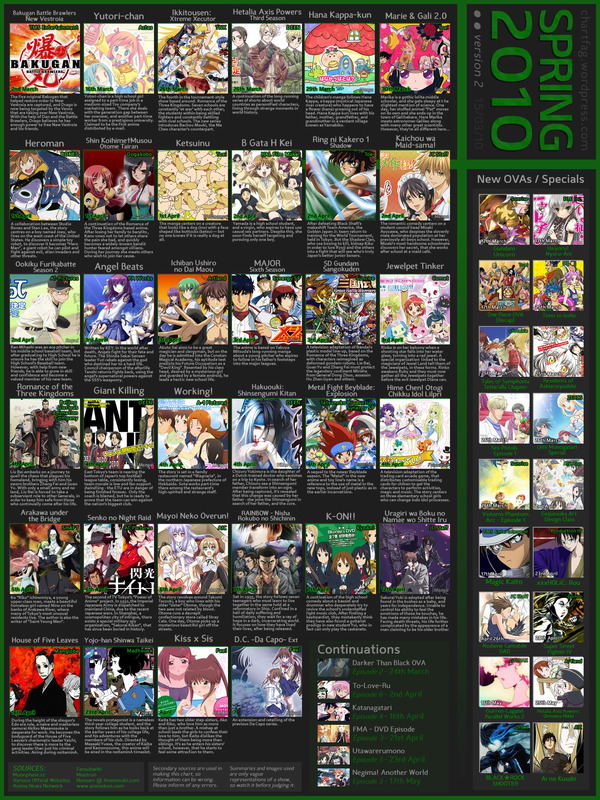 As if my earlier coverage of Japanator’s Spring 2010 anime lineup isn’t enough, here comes another summary of the Spring 2010 anime lineup, in a more graphical form. Thanks to Crunchyroll member everydaygamer for posting this. This one covers a few more shows than the Japanator analysis does.